AT&T started selling BlackBerry's first Android-powered smartphone, a slider called the Priv, on Friday for $250 with a two-year contract, a price that could entice buyers who are reluctant to pay BlackBerry's own $699 off-contract price. Pre-orders for the slider smartphone with a 5.4-in. display, started two weeks ago. A BlackBerry spokeswoman declared in an email that pre-orders for the Priv "far surpassed" pre-orders for BlackBerry's Classic and Passport phones, but she declined to offer any numbers. The Priv is a return to the slider-phone style. While her statement sounds positive for Priv, it might not mean very much. Both earlier smartphones, which run on the BlackBerry OS, were "not tracking anywhere close" to what BlackBerry expected, according to Morgan Stanley analysts in March. BlackBerry hasn't broken out sales figures for any of its devices, but the company recently said it generated revenues from shipping just 800,000 phones in the quarter that ended Aug. 29, down from 2.1 million a year earlier. Its dwindling smartphone sales left BlackBerry with just 0.3% of the total global smartphone market in the second quarter, according to IDC. Presumably, selling an Android phone could help BlackBerry, because Android is now positioned at 83% of the global market. BlackBerry, the pioneer of the smartphone, clearly faces trouble. The biggest question is whether a security-enhanced Android Priv phone can lure enough buyers, bringing off a kind of Hail Mary pass for the company, even as BlackBerry positions itself to be more of a security software company than a smartphone maker. To that end, BlackBerry bought mobile device management company Good Technology in September for $425 million. Some of the skepticism about Priv's ability to redeem BlackBerry showed up Friday in a variety of reviews. For instance, after commenting that the Priv is "probably the best-looking BlackBerry device ever," Engadget reviewer Daniel Cooper declared, "BlackBerry is probably done as a phone manufacturer," owing mainly to the difficulty for any Android manufacturer to turn a significant profit. BlackBerry CEO John Chen recently told a Code/Mobile conference audience that he would consider shutting the handset business in a year if it's not profitable. He later said it would take sales of 5 million phones a year to reach profitability, a number that's much higher than the 800,000 sales of the second quarter. 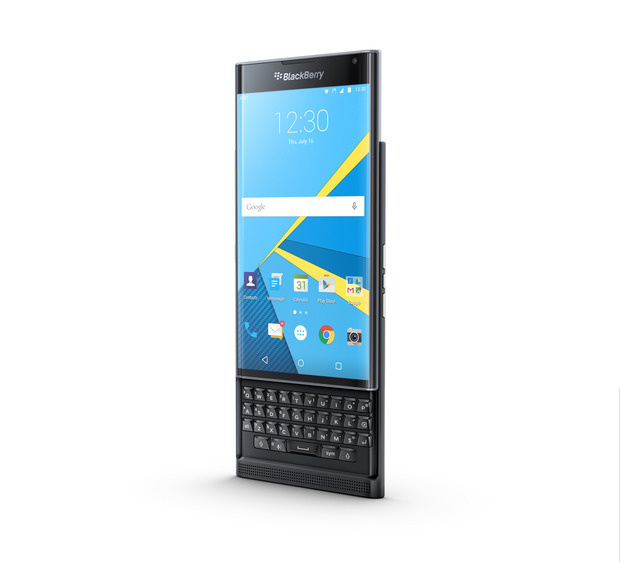 The $699 Priv off-contract price won't be the only consideration for buyers. Some analysts said the security-enhanced slider Android smartphone could prompt BYOD (bring-your-own-device) workers to come on board (or stay on board) with BlackBerry. Its 5.4-in. touchscreen as well as a physical keyboard will also delight users familiar with the older BlackBerrys, even though the number of hard keyboard users is dwindling. Meanwhile, AT&T is the only U.S. carrier selling the Priv. T-Mobile hasn’t ruled out selling it and recently told Ubergizmo that it will support anyone who purchases the Priv unlocked to use on T-Mobile’s network. BlackBerry noted on its pre-order site that the phone is not compatible on Verizon, Sprint or U.S. Cellular. Also, the pre-order site was recently updated to say BlackBerry won’t ship the phones until Nov. 23, later than the Nov. 9 ship date that appeared earlier. "This Priv phone alone won't save BlackBerry," Gartner analyst John Dulaney said in an interview. "There's still a lot to do. I believe Chen wants BlackBerry to be a software company focused on security." While the Priv supports Android for Work and is certified FIPS 140-2 security compliant, it still won't be secure enough to win buyers needing the highest grade of security, like those in the military, Dulaney said. That could leave the Priv targeted mainly for the consumer market "that wants a keyboard and wants privacy and is very messaging-centric and wants the benefits of Android," including access to plenty of apps, Dulaney added. While Priv runs Android 5.1 (Lollipop), BlackBerry "is working quickly" on getting out an Android 6.0 (Marshmallow) update, a BlackBerry spokeswoman said. While some analysts said Priv's slider design could be a success by imitating the earlier BlackBerry Torch, Dulaney deferred. "The slider has never really been accepted as a widespread design," he said. "We've gone through 15 years of trial and error on design and all kinds of form factors, and people now want a large-screen black rectangle. BlackBerry has obviously done a lot of research but it seems like a very niche design," Dulaney said. However, Dulaney held out the possibility that BlackBerry could introduce other Android phones that are more mainstream in design. Of course, that assumes BlackBerry will be making phones in another year.